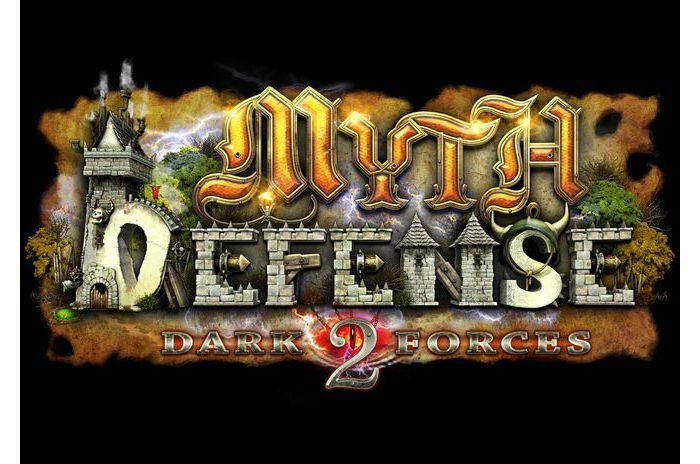 Myth Defense 2: DF - continuation of the first part of the saga of Myth Defense Smartpix Games, in which the player had to keep bastions against the invading enemy. 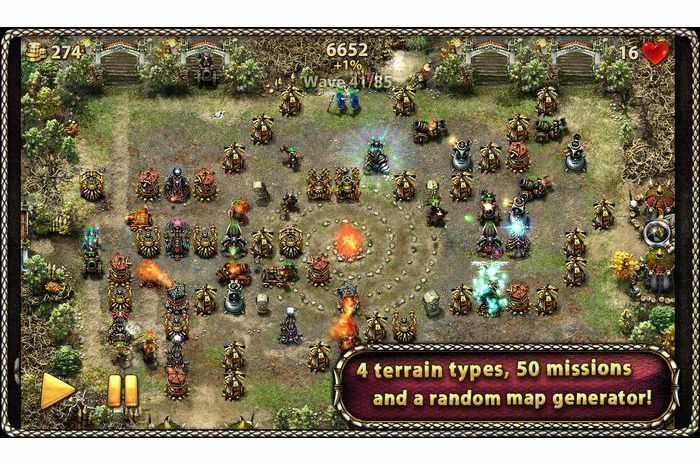 Interesting arcade strategy in the genre of "Tower Defense". Light forces repulsed the Dark Forces and went on the offensive. Now you have to fight for the dark side and restore the balance between Light and Darkness! 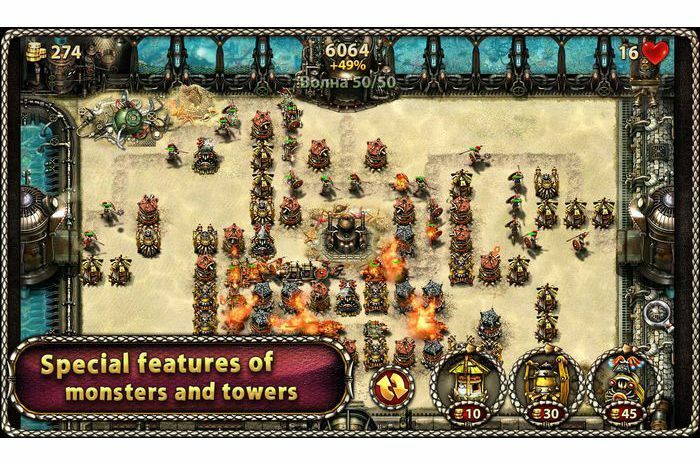 Build towers and traps using technology Orcs, Goblins and Necromancers. 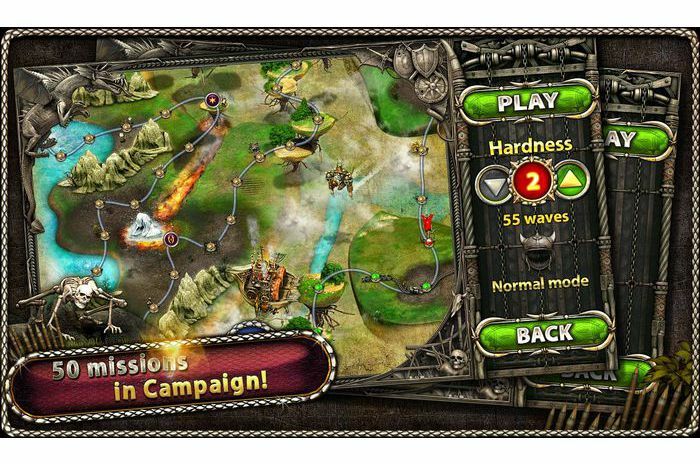 Be tactical skills, combining the effects of various towers and using terrain. 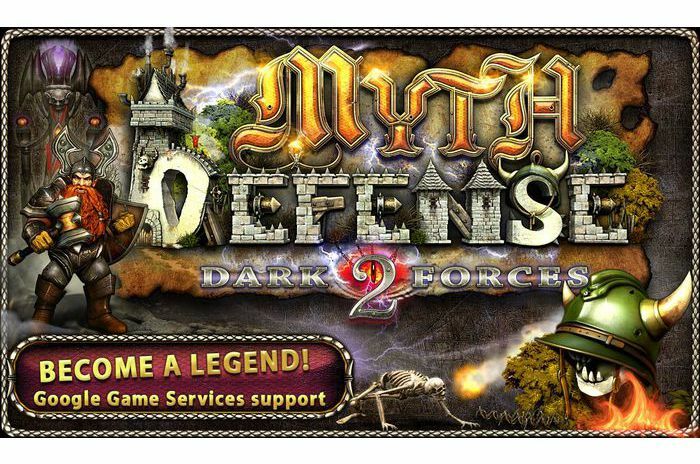 Protect the stronghold of the Dark Forces from the onslaught of belligerent armies of Light! This is a free version you can unlock to the full version directly from the game menu (besides paying any additional payments will be required to play in the full version). Also from the menu Battles You can buy add-ons alternative campaigns (currently available 1 addition). 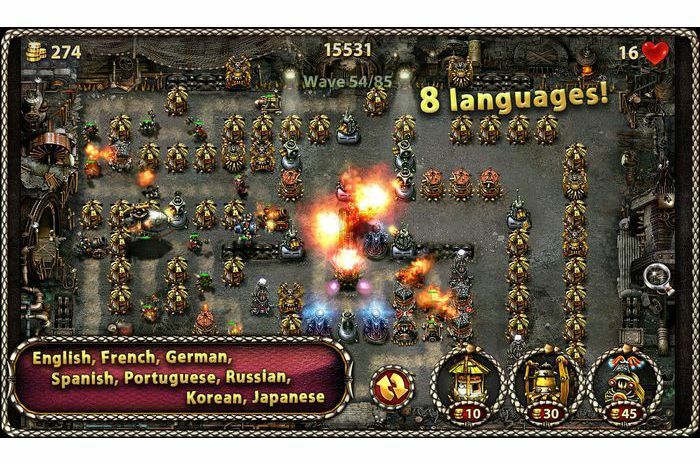 • Option to purchase additional maps and campaigns with new enemies and towers. • Enemies are now divided into classes: Live, Machine and Magic. Some towers are only one class. - Tower of Fear: the enemy throws in horror, causing him some time to run away from the tower. One enemy can be scared only once (but some enemies are fearless). 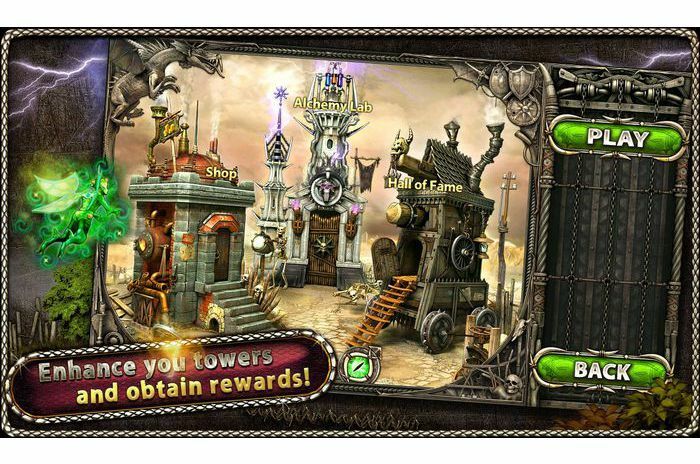 - Tower of Damnation shoots from the base damage as a normal tower, but it can be recharged coins which enhance capacity. If the health of the enemy does not exceed the base damage, the tower will kill him without spending coins charged. If the enemy is strong, then try to kill him, having spent so much additional charge as needed, but no more. - Reactive Mace: produces a large spiked ball horizontally or vertically. Striking the enemy units hit the ball and loses some of lethal force. Ball continues to fly as not to waste all the energy.